Trapping chipmunks is easy and it can be accomplished by almost anyone. By using just a few simple tools you can quickly eliminate or relocate a nuisance chipmunk. Chipmunks are fun animals to watch. They're curious, full of energy and a lot of times you can view them up close as they scurry around your house or deck. Although they're entertaining at first, chipmunks can quickly turn into a problem and a homeowners nightmare. Why? Chipmunks are a burrowing animal meaning they dig burrows in the ground which they use as a home. These burrows can become extensive and they can lead to structural damage when dug under foundations, sidewalks, patios and other similar structures. Chipmunks are also destructive to gardens and flower beds because they dig up bulbs and eat seeds or garden fruits. It only gets worse if they move into your home or attic where they chew wires and destroy insulation. To keep them under control its important to understand the animal and how to control them if necessary. Although their are 25 different species of chipmunks found in the United States the two most common are the Eastern chipmunk and the Western chipmunk. The majority of the chipmunks found in the United States are classified as Western chipmunks. Chipmunks are small animals and are easily identifiable by their dark and light strips running lengthwise across their face and down their backs. Chipmunks eat a wide variety of foods like seeds, nuts, berries, grains, insects and even sometimes young birds and bird eggs (although it's not very common). To help keep chipmunk numbers under control and reduce their harmful impact on your lawn here's a few things you can do to help minimize their destruction. Use 1/4 mesh hardware cloth around flowers and gardens and plant flower bulbs in bulb cages or under a 1 x 1 mesh screen. Use a screen size that prevents the chipmunk from digging up the bulb but large enough to allow the bulb to sprout through. The mesh should extend at least 1 inch past the edge of the bulb. Chipmunks love to burrow under rock piles and wood piles so move these away from your home or eliminate them from your yard. Chipmunks love bird seed. Store your seed inside and keep it in a rodent proof container like a metal garbage can. Use hardware cloth with 1/4 mesh or caulk around gaps in the foundation of your barn, shed or home to prevent them from entering. Repellants don't work very well to control chipmunks and are not known to be effective. Trapping chipmunks is considered to be the most effective and practical way of getting rid of them. 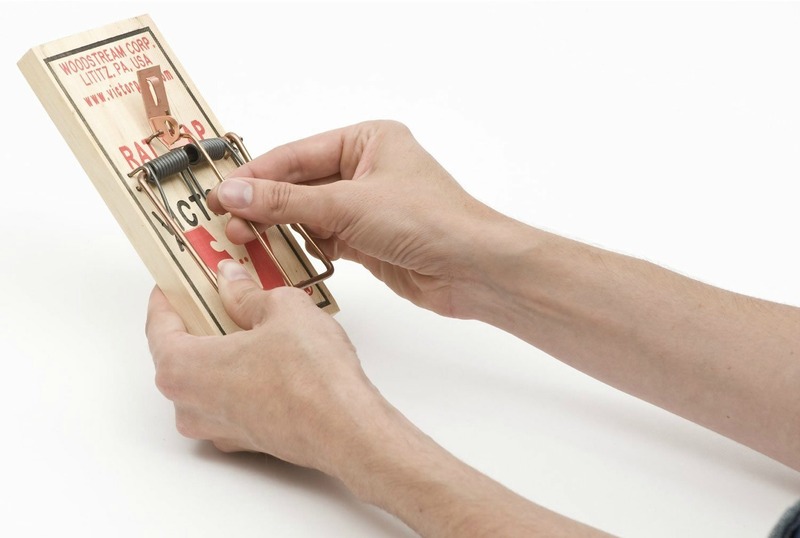 Two of the most effective traps to use are the rat snap trap and the live animal trap. 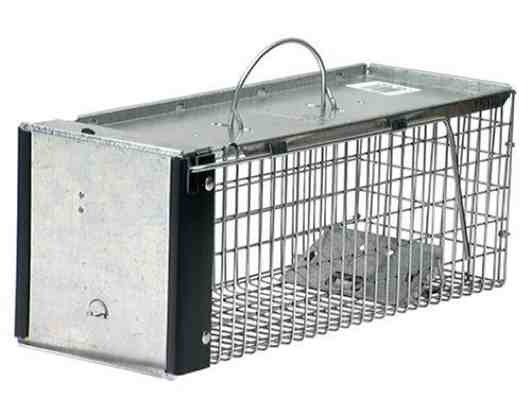 Use a rat snap trap by placing the trap where the chipmunks frequently travel. Rub peanut butter on the trigger and place some sunflower seeds or bird seed on the peanut butter. The peanut butter will allow the seed to stick. To prevent the capture of song birds or unwanted animals, place a small box over the trap with a small opening cut in the end which allows the chipmunk to enter. A shoebox works great. Next, place the box over the trap. Make sure you choose a box big enough to allow the trap to fire without hitting the box. You can add a little seed near the entrance of the box to entice the chipmunk to enter. The live animal trap is probably the most effective device for trapping chipmunks. They're easy to use, they allow you to release the animal if you want and the traps last a long time. Choose a trap size that's made for chipmunks and other small animals. Place the trap near chipmunk runways or near burrowing sites. If you're worried about the chipmunks becoming scared of the trap, simply put it out for a few days with seeds nearby but don't set the trap. After 2 or 3 days they should become accustomed to the trap and they won't be scared. Next, smear some peanut butter on the pan of the trap and slightly behind it. Also place a small amount in the entrance to the trap to lure the animal inside. Place sunflower seeds or bird seed on the peanut butter. Adding a small amount of pine needles, leaves or nearby vegetation to the bottom of the trap to help conceal the metal mesh. This will help the chipmunk feel more comfortable as it enters. Make sure not to get any under the trigger pan. Make sure the trap sits flat on the ground and does not rock back and forth as the animal enters. If the trap moves, the chipmunk might run out before it steps on the trigger pan. Finally, set the trigger pan and you're done! Frequently check the trap to see if you were successful. 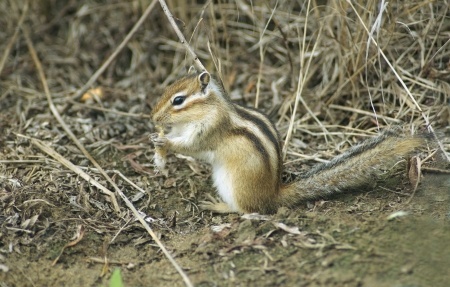 Chipmunks are most active during the morning and evening especially on sunny days. Once trapped, you can choose to relocate the chipmunk or exterminate it. Always check your local laws to see what is legal to do in your area. Trapping chipmunks is easy and there's no need to spend additional money on an exterminator when you can take care of the problem yourself. Are chipmunks invading your home or yard? Try trapping them!